The nature of my profession reminds me daily that our health is a precious gift. As an ovarian cancer survivor who has faced the grueling challenge of losing and ultimately rebuilding my health, I recognize personally the importance of working closely with a physician who is a strong advocate for the patient’s health and well-being. With VVMed Integrative Medical Center, Inc. and 1 on 1 MD™, LLC, I bring such commitment to my patients. After years of practicing in a healthcare environment where valuable time is spent on seemingly endless insurance paperwork, I have elected to bring the focus back to patient care, disease prevention, and healthy aging. VVMed Integrative Medical Center provides treatment based on the latest advancements in healthy aging and utilizes valuable clinical data to help one achieve wellness internally and externally, mentally and physically. 1 on 1 MD™, LLC is a “concierge” style internal medicine practice designed and based on the fundamental belief that optimal medical care is delivered when quality time can be spent with the patient, allowing patients 24/7 physician access and continuity of care. In our hectic lives, it is often easy to put our health as the last priority. As someone fortunate enough to be given a second chance, I would encourage all of you that during these times of stress more than ever, one needs to stay healthy mentally and physically. It is time to put your investment into something you can count on and cannot afford to be without – your health. 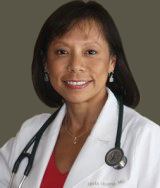 Dr. Linda Huang graduated with honors from Stanford University in biology and music and completed her medical school and residency training at Northwestern University in Chicago. Board‐certified in Internal Medicine since 1997, she is an attending staff physician at Northwestern Memorial Hospital. She serves as a primary care physician in the Chicagoland area, as well as, a clinical instructor at the Northwestern University medical school and residency programs. Regenerative and Functional Medicine and currently is an active member of the American Academy of Anti‐Aging Medicine. Aside from medicine, Dr. Huang is an avid beach volleyball player and an accomplished pianist. VVMed partnered with Dr. Dan and Natural Chiropractic Solutions to expand our services at our center. Dr. Dan completed his undergraduate degree at Indiana University in Bloomington, IN, where he received his BS in Kinesiology. He went on to the National University of Health Science in Lombard, IL, where he received a BS in Human Biology along with a Doctorate in Chiropractic Medicine. Dr. Dan focuses on the overall health of our patients and strives to optimize our patients’ peak potential. 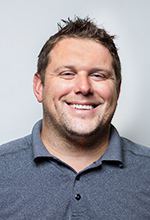 He specializes in customized treatments in Chiropractic Medicine, Acupuncture, Physical Therapy, Cupping Therapy, and Neuromuscular Re-education to maximize the body’s performance. He works hand-in-hand with the Medical Director to allow our patients to have the best Holistic and Allopathic experience possible. He treats a wide variety of patient cases, from Infertility to Golf Swing Analysis and Low Back Pain to Fibromyalgia, allowing our patients to live the best that they can. As a former collegiate swimmer and someone who loves to golf, Dr. Dan understands how chiropractic care can keep an athlete at the top of their game. Christina serves as our Patient Coordinator at VVMed where she works in various front office and administration positions. Christina’s dedication to ensuring each patient has a personalized experience is apparent in everything she does, from greeting patients to explaining office protocol and providing words of encouragement after their appointments. We are delighted to have her part of our VVMed team. 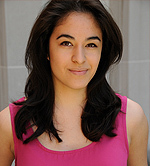 Christina is a graduate of Miami University with a Bachelor of Arts in Theatre. When not working at VVMed, she works as a theatre artist in a number of capacities in the storefront community in Chicago. She is a company member of The Plagiarists, serving as their Resident Stage Manager, and a company member of Crowded Bookshelf Dramatics.